With all of this July heat beating down on us, we decided to take a road trip to the Shenandoah Valley and visit the town of Berryville. We are familiar with Berryville since we have been distributing the Old Town Crier there for a number of years. Getting to Berryville is quite easy and makes for an enjoyable drive. Route 7 out of Leesburg, Virginia is a straight and easy drive, however we opted for the more picturesque drive on Route 50, through Middleburg, Upperville and Paris, across the Shenandoah River, through the town of Millwood and on to Berryville. The drive is very pleasant and there are many fine places to stop for refreshment along the way. Founded by European Americans and surveyed by George Washington in 1750, Berryville today serves as the county seat of Clarke County. According to legend, Col. Daniel Morgan, who had distinguished himself in the American Revolution, would engage in combat with young toughs at the intersection of Winchester Turnpike and Charlestown Road, having piled large stones nearby to use as ammunition in case of need. Because of this story, and a rowdy tavern nearby, the area was first given the informal name of “Battle Town”. Today the Battle Town Inn (unfortunately no longer open for business) stands on that spot. While in Berryville we stayed at the Waypoint House Bed and Breakfast. Waypoint is a very clever name because a waypoint is a reference point that one puts in their GPS and marks the location for a return trip. In sailing, waypoints are the norm for marking places that are worth a return trip, and the Waypoint House is certainly worth a trip. 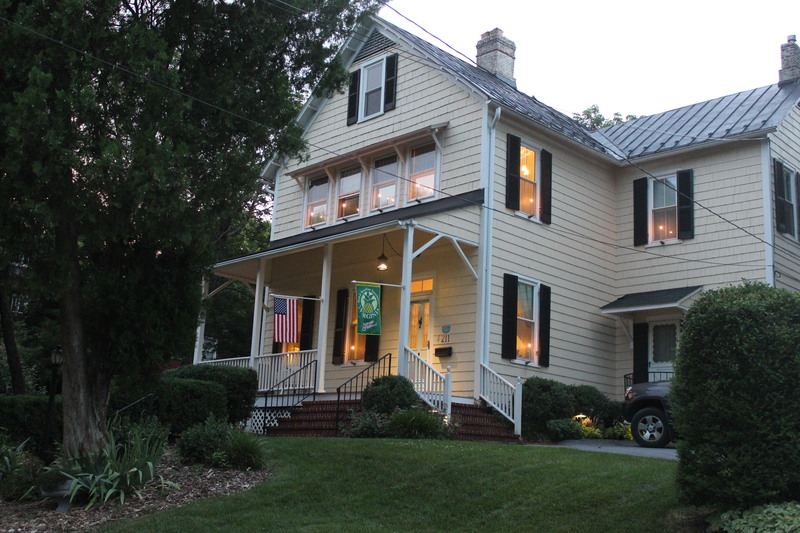 Owned and operated by former Alexandrians Rachael and Jonathan Worsley, the Waypoint is a historic home built in 1884 that has been remodeled into a modern bed and breakfast. Although there are a few antiques spread throughout the house, most of the furnishings are contemporary in nature. Rachael and Jonathan are a very interesting story in their own right. They had known each other for years and were good friends. As they learned more about each other they realized that they both had the desire to own and operate their own bed and breakfast. 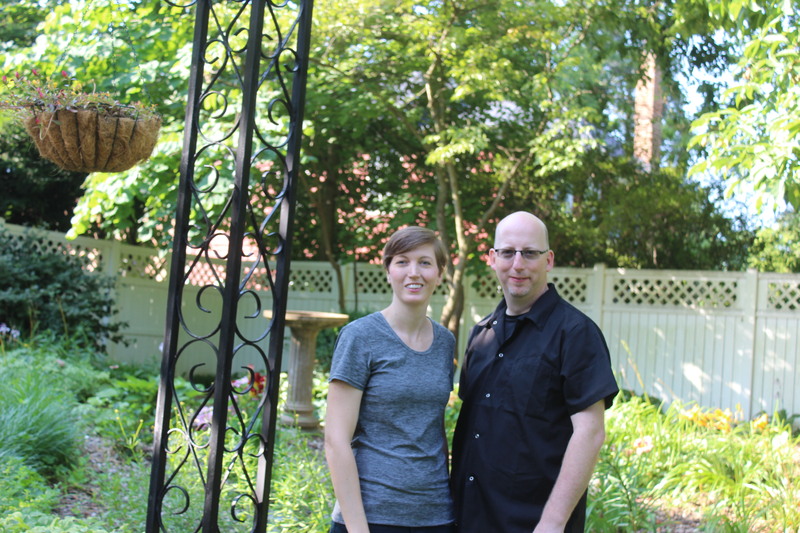 They got married (held their rehearsal dinner at Southside 815) and were living in Alexandria when they discovered the house in Berryville and became fans of the property. When the woman who owned the house decided that it was time to sell…the Worsley’s jumped at the chance. They sold their home in Alexandria and purchased the Waypoint House in 2012. Except for a brief closure for a month in December of 2013 for renovations, the Waypoint House has been welcoming folks to Berryville ever since. 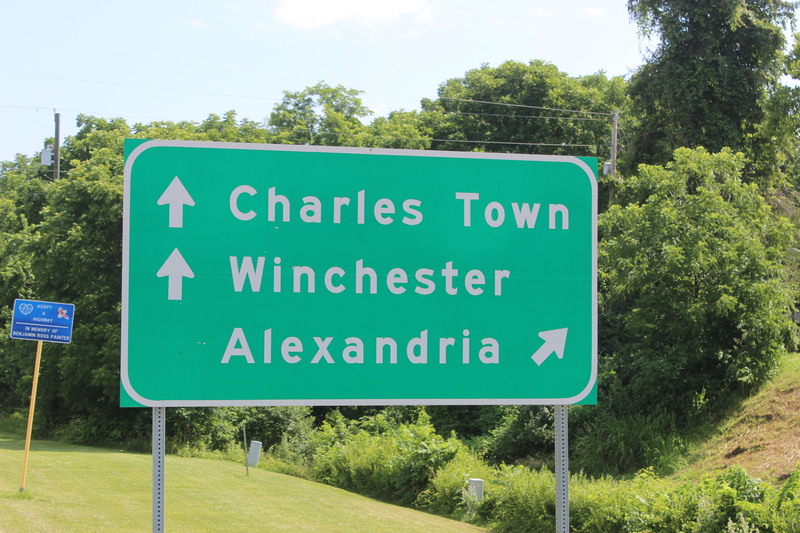 Berryville is the largest town in Clarke County, but is still a small town by Alexandria standards. 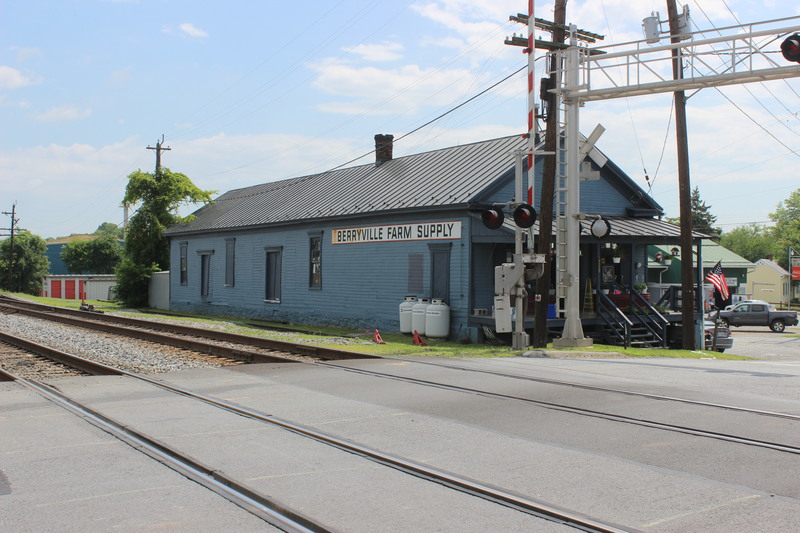 Approximately 6 blocks long, the main street of town is anchored at one end by the Berryville Feed and Grain store and the Battle Town Inn at the other. If you don’t do anything else, stop in the Feed and Grain store. It is way more fun to shop in than Southern States. The town has inviting restaurants ranging from authentic Mexican to Southern cuisine and everything from handcrafted goods made by local artisans that you can find in Elizabeth Mock’s store, Modern Mercantile. This is one very unique place and is a great stop for a one of a kind gift for someone or just a treat for yourself. There are also many places where you will find one-of-a-kind antiques. 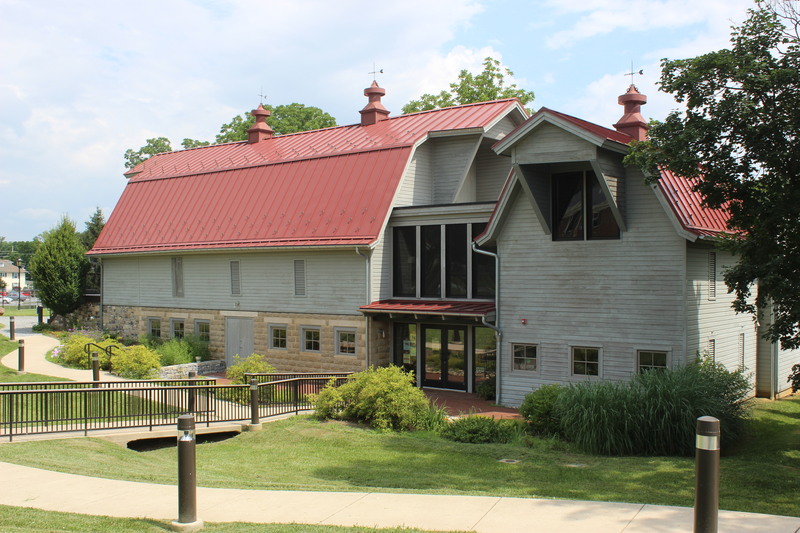 Located in the middle of town you will find the Barns of Rose Hill, a location for the performing and visual arts. Barns of Rose Hill are two early 20th century dairy barns that were part of a farm estate, which was donated to the Town of Berryville in 1964. Today, this four-acre park as become a central focus of community programs and activities. After 6 years of fundraising, the restoration reached its completion and officially opened in September 2011. The extensive renovation included a world-class sound system, acoustic engineering, and a highly flexible architectural concept. The facility includes upper and lower galleries, a great hall and open deck. The main performance hall holds up to 175 people for live concerts. Check out their website for performance dates and take a road trip. 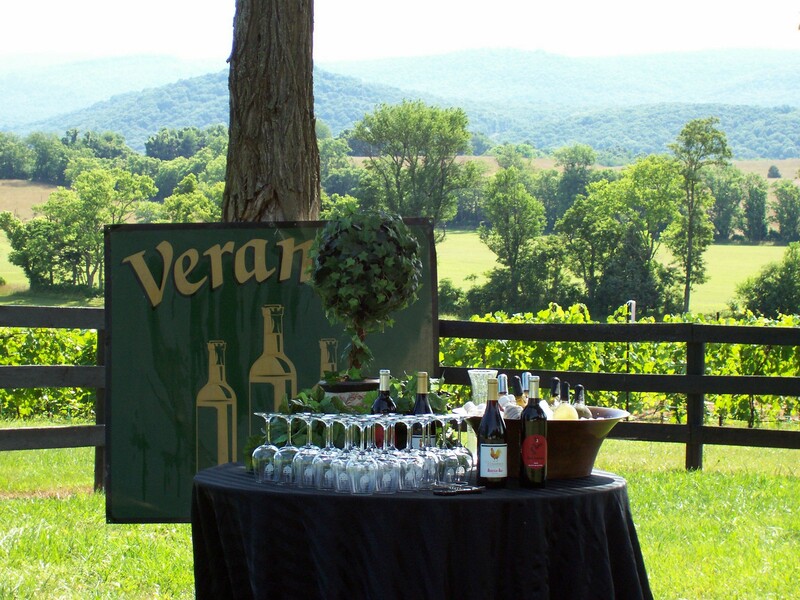 If a visit to a winery is of interest, there are three wineries near Berryville…Bluemont, 612 Vineyard and Veramar. I have been a big fan of Veramar Wines ever since I tried their Governor’s Cup, gold medal winning Malbec about 10 years ago. It was an exceptional wine as all of their wines continue to be. Actually, I believe the Malbec came from their sister winery Bogati. Recently the Veramar wine family added their third winery…James Charles, named after the founder of it all…James Bogaty. A visit to these wineries is a great way to spend an afternoon. So, if you are thinking of taking a road trip, consider the town of Berryville, its wonderful shops, nearby wineries and maybe make it to a concert. It is only about an hours drive, but with all there is to do, you should plan to stay at the Waypoint House Bed and Breakfast…W 77 59’ 01 N 39 08’ 54.